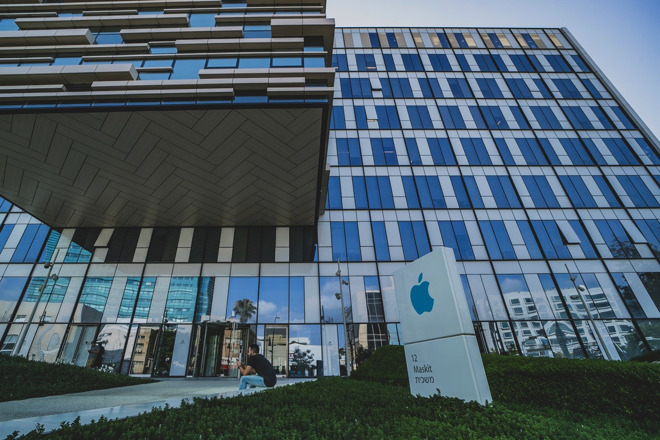 Apple is helping to promote a new Design Verification Engineering training course designed to help graduates get jobs at Israeli tech firms and startups, by hosting a meetup for course candidates at its offices in Herzilya on July 16th. The ten-month course, provided by non-profit Israel Tech Challenge and part of its Fellows program, aims to "supply the industry's urgent need for experts" in the of design verification engineering, according to the organization. Tech companies including Apple, Intel, and Cadence consulted the program's staff during its development, with the firms also said to take an active part in training participants. To promote the course, the event at Apple's Herzilya offices will include talks from Rony Friedman, VP at Apple and manager of Apple's Israel research and development center, as well as Rani Ayalon, a Verification Manager at the center. Employees of ITC will also speak at the event, to explain the course and answer queries from attendees. Starting in October, the course itself will consist of four months of intensive classroom training, including lectures, workshops, group projects, and guided self-study, based at ITC's international campus in Tel Aviv. A six-month paid internship at a tech company will then be provided, with an expected internship salary of 17,000 NIS ($4,675) per month. "Apple is constantly looking for new Design Verification Engineers to join its Israeli R&D site," advises Rony Friedman, calling it "an excellent starting point for a career at Apple." ITC advises the meet-up is meant for relevant candidates only, defined as B.Sc and M.Sc. graduates with coding knowledge "preferably from Israel's top academic institutions," including Tel Aviv University, Ben-Gurion University, and the Weizmann Institute of Science. Registration for the evening event is also required for attendance.